Père David’s Deer was saved from extinction thanks to Father Armand David, who took took some specimen from China to Europe at the end of the nineteenth century, saving these deers from dieing out. Currently they live only in zoos and fenced territories, but they originated from the swampy areas of Southern China. Currently, the biggest herd lives in the United Kingdom. The body of the David’s Deer has a plump and somewhat donkey-like structure, being more massive than any other deer and they also have a much thicker and longer fur, as well as an extraordinary long tail. They still have some key characteristics of deers, such as spectacular horns, as well as a the reddish to brown colouration. Roes do not have horns and they’re slightly smaller than males and have a less bulky build. Their shoulder height can reach 120 cm, males can be as heavy as 245 kilograms while females can reach only 140 kg. It is believed that these deers became extinct in the wild multiple centuries ago. 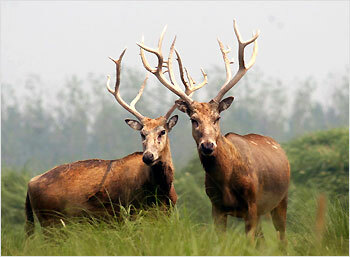 Chinese emperors bred these deers in small numbers for hunting. In 1865 Father Armand David found the last group of these deers at a hunting park in Beijing. With the help of diplomats, he was allowed to take a few specimen to European zoos. This was lucky for the deers, as the European population soon became the only one present on earth, as the David’s Deers in China were killed during the great flood in 1894. Unlike most deers, they like areas with plenty of freshwater around. Their natural habitat being swampy areas, they are also excellent swimmers and if the temperature is too warm, the deers will spend most of the day submerged in water. David’s Deers feed on grass, as well as sprouts and leaves. They are ruminant, which means they digest food twice, in order to get as much foodstuff from it as they can. David’s Deers usually mate in June, sometimes they even mate twice a year. Females gather in groups, while males fight for pack leader rights. 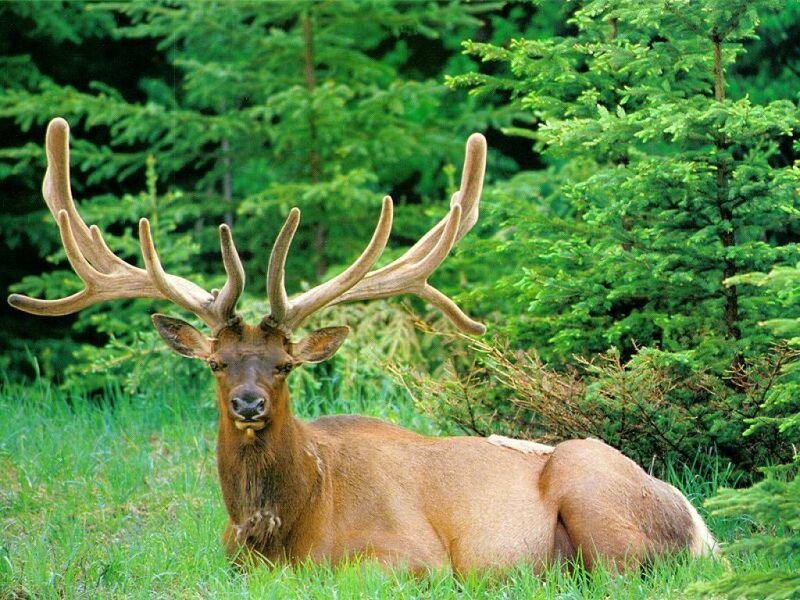 These fights are usually violent and deers can severely harm each other with the sharp horns. After the dominant male has been determined, copulation occurs. After a gestation period of about 250 days, one calf is born, whose light brown coat is spotted with white dots. The calf is nursed for six weeks and it will stay with the mother for one to two years. Their life expectancy is about 20 years. Although David’s Deers don’t live in the wild, a population of about 600 specimen currently lives in zoos around the world, therefore they are not threatened by complete extinction.